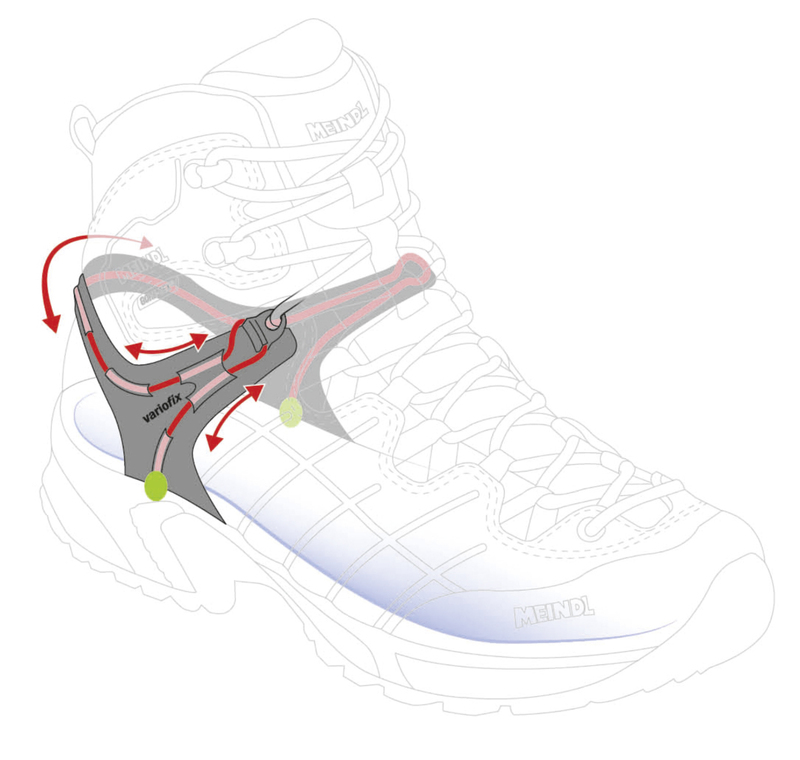 The variofix® lacing system ensures a perfect fit in the heel area. When lacing up, the free-running “speed wire” strap is pulled in closely and evenly around the heel. This enables us to get the best, individually possible hold for your heel.